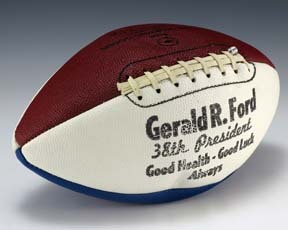 A red, white, and blue football that is composed of two white panels and two brown panels. The stitching is black and white, and the laces are white. All of the text is painted on in black.